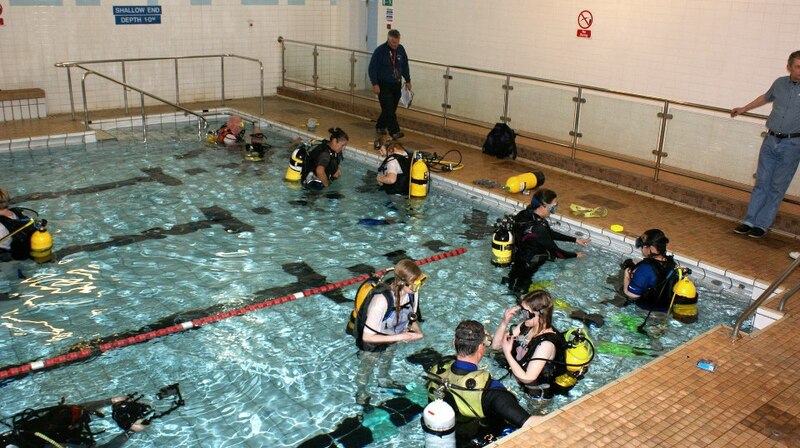 Merseyside SAC members undertake just about every type of diving you could possibly imagine. 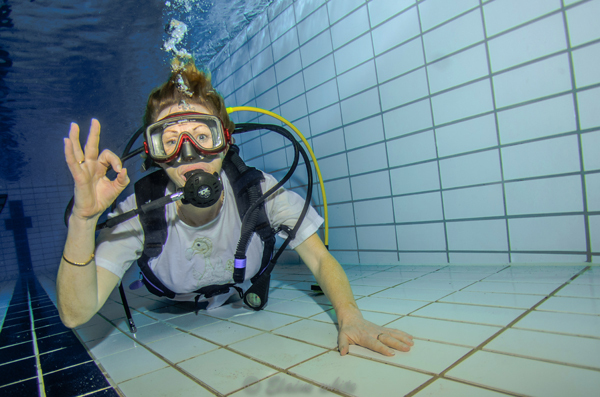 From the simplest shallow, scenic dives to advanced technical wreck diving. 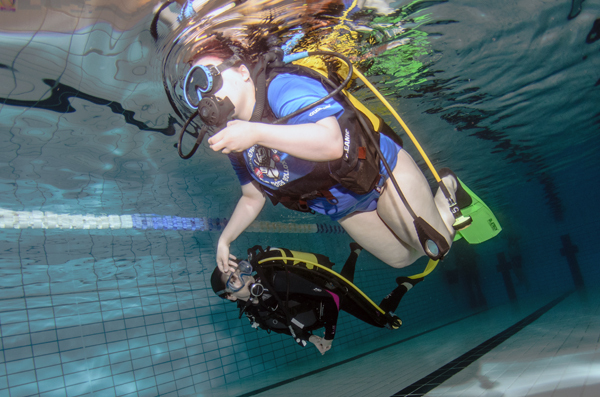 Every year the Club arranges a programme of dive weekends to sites around the UK. In the past few years we have been to Pembrokeshire, The Lleyn Peninsular, St. Abbs, The Farne Isles, Lundy Island, Orkneys and Weymouth. 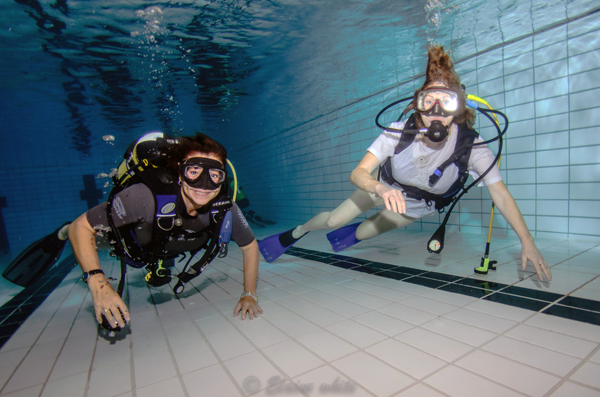 Many people imagine UK waters to be cold, murky and empty – but in fact the seas around Britain are full of life. We don’t have coral reefs, but we do have rock reefs, and every square inch of them is usually covered in life. There are corals, they just don’t form reefs. There are also bright yellow sponges the size of footballs, sea-squirts that look like underwater light-bulbs and anemones that glow like jewels under the water and cover entire rock walls with patches of purple, green and orange. Britain’s long marine history, unpredictable weather and two World Wars have endowed us with literally thousands of shipwrecks. 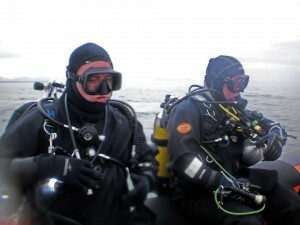 You can dive on merchant ships, warships and submarines and even aircraft. At Scapa Flow in the Orkneys there’s an entire WWI German battle fleet to be explored. Many of the wrecks have interesting stories behind them, for instance when the Royal Adelaide was wrecked of Chesil Beach in 1872, a crowd of 3,000 locals gathered on shore and waited to see what items of her cargo would be washed ashore. The first thing to arrive were dozens of casks of Dutch gin! A wild party soon got started, and by the next morning 20 people lay dead on the beach, from the combined effects of alcohol and exposure. Today the battered remains of the wreck lie just off the beach and are the summer home of a small shoal of Grey Triggerfish – over from their normal home in the Mediterranean. 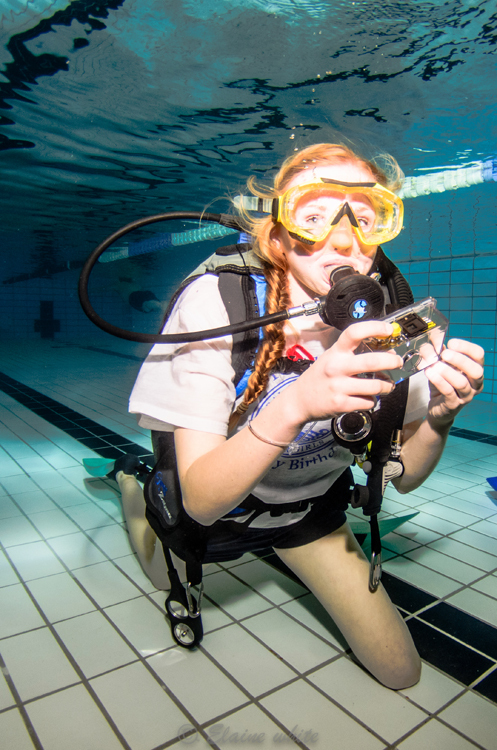 There are about 70 species of fish that you’re likely to see as a diver in the UK. There are the ones you know from the chip shop menu, like cod and plaice, but many you probably won’t have heard of before – including some surprisingly colourful species like the cuckoo wrasse, and some bizarre looking things such as the John Dory. There are mean looking conger eels – they can be up to 2M long, but the only sharks you’re likely to see are harmless dogfish, at only about 1M. There are crabs 10 times the size of the ones you see in rock pools on the shore, and Lobsters to match. You may surprised to hear that there are octopus out there, but more commonly seen are their close relatives, the cuttlefish. Watch them changing shape and flashing different colours across their bodies. Many people are fascinated by the idea of swimming with Dolphins, but seals are just as much fun. At over 3M long the Atlantic Grey Seal is one of the largest in the world. To see them effortlessly gliding past you at close quarters is unforgettable – and they like to play! Favourite games include sneaking up behind you and tugging your fins, and hide-and-seek amongst the rocks. 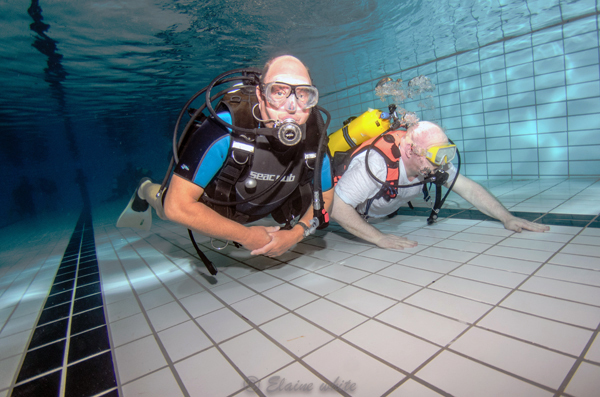 Whatever your preference, within the club it’s almost certain that you will find like-minded individuals who enjoy the kind of diving you want to do.